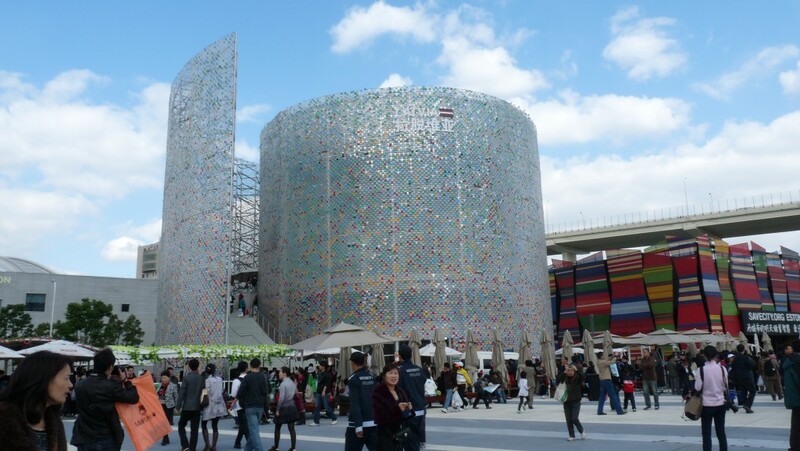 Most of the people we encountered in Shanghai strongly discouraged us from going to the World Expo, going so far as to say that it was a horrible waste of time and money. 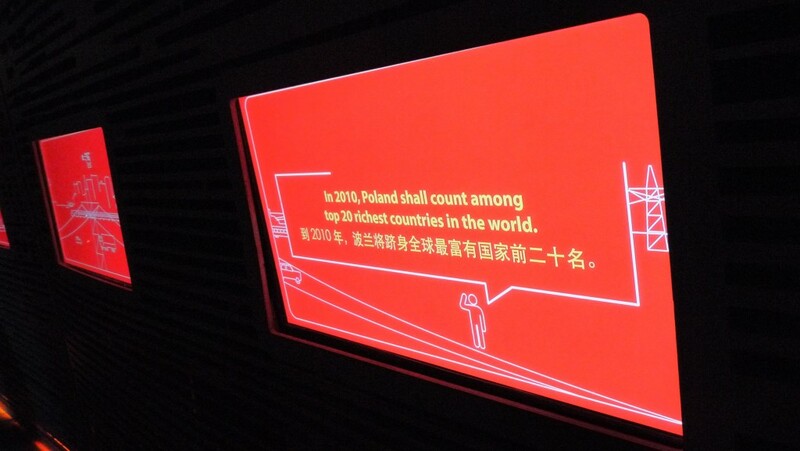 Ok, so they weren’t entirely wrong, but we went with some pretty specific questions in mind; high on that list was: how are cultural highlights of a nation, within the confines of a temporary architectural space, presented? 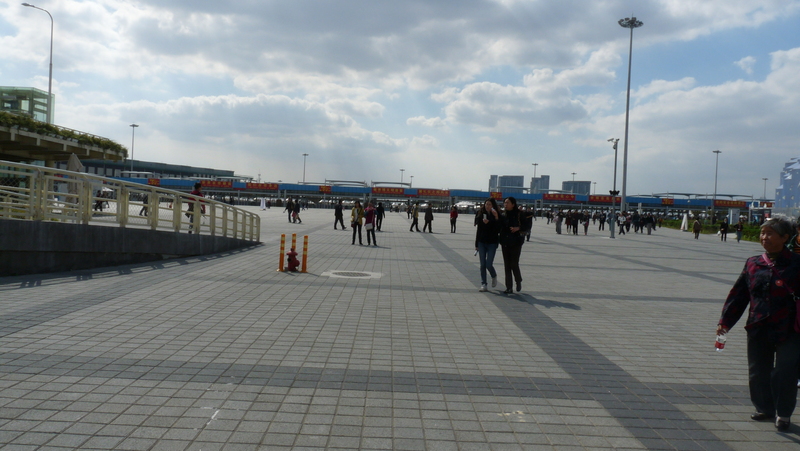 I can honestly say, I wasn’t blown away by anything but the world expo machine itself – millions of people mostly from all over China who stood in lines to see what the world had to offer them. 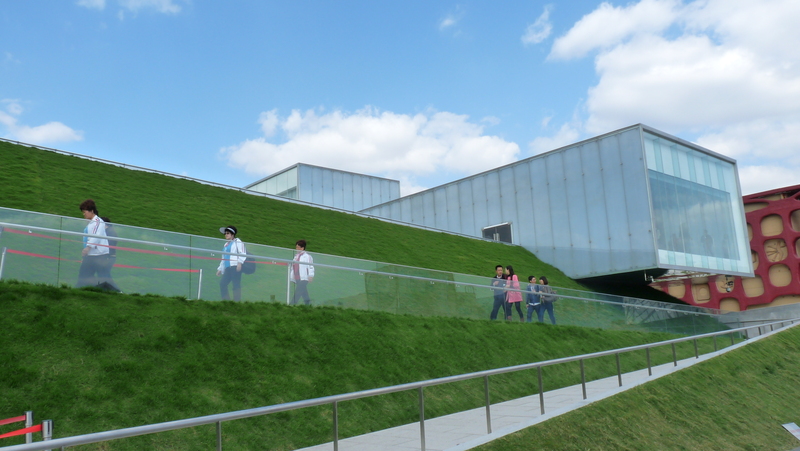 Much of the Expo covered business practices of the various countries, but what was really interesting to see was how contemporary exhibition practices were employed to showcase this information. 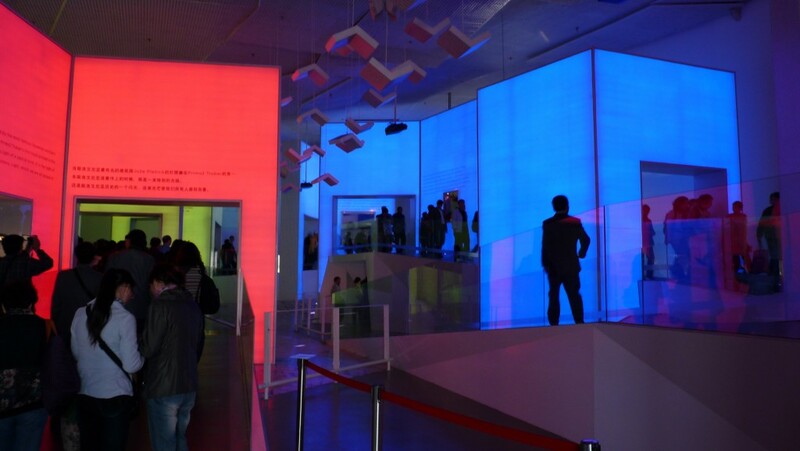 Here are some photos of the Slovenian and Poland Pavilion both of which employed some nice architectural and sound elements to lead visitors through. 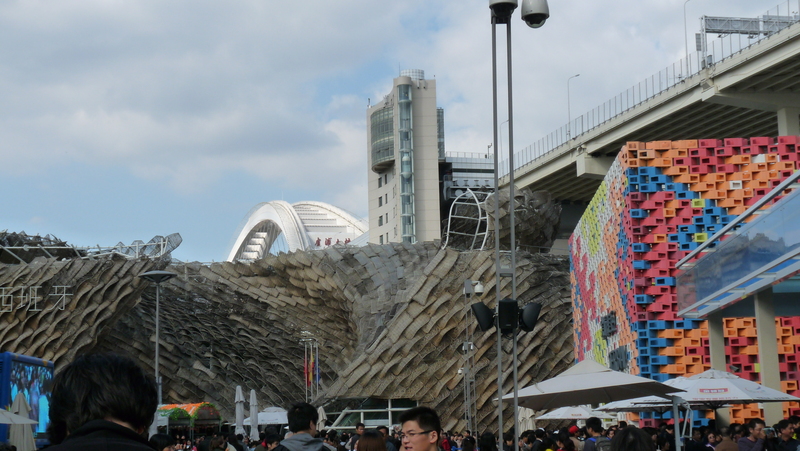 Theoretically, the idea of organizing one of these pavilions would be really interesting. 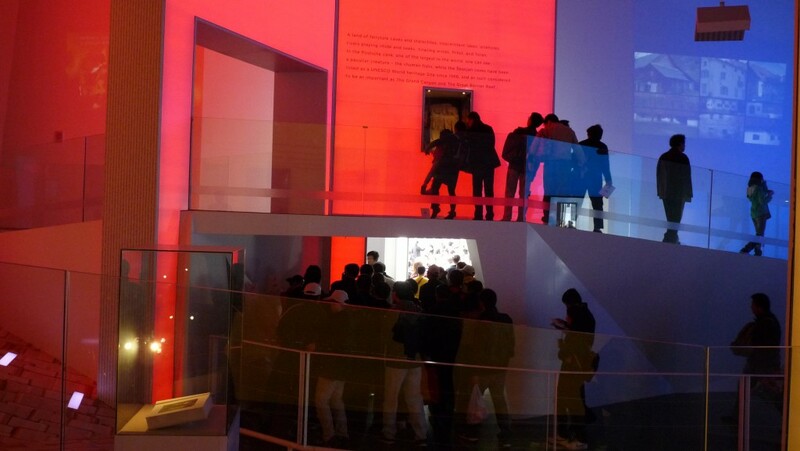 If we think about the use of national pavilions in the Venice Biennale for example, there are many constraints which make it less appealing – you have to show to an already seasoned contemporary art crowd of thousands what is supposedly “the best of” contemporary art. 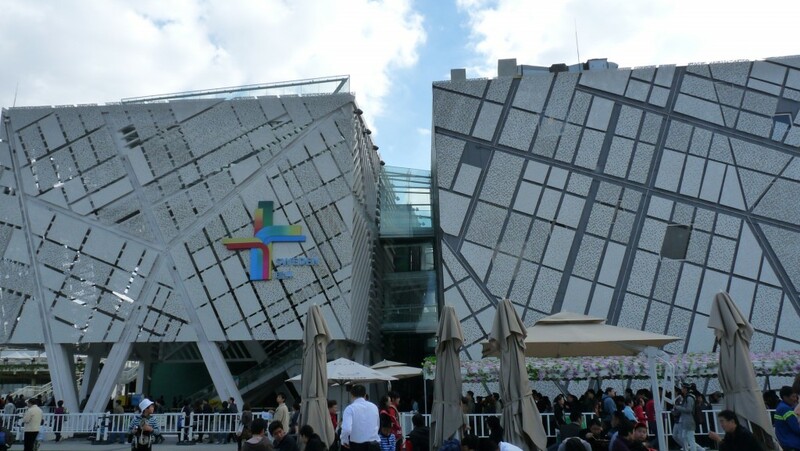 The country pavilions at the Expo were spaces constructed for an audience of millions to showcase their contents by blending architecture, design and art to lure spectators into learning more about the respective country. Whether it’s liberal economic incentives or showing off local handicrafts and cuisines these pavilions had political and economic goals, which needed to be expressed in an enticing visual format. Some failed miserably, resorting to power point presentations and poster board collages, while others were able to manipulate the flow of traffic through their space with light and sound in subtle and wonder-inspiring ways. Here are a few photos of these areas within the grounds that were fairly empty, immense and remote, yet unusually wonderful. 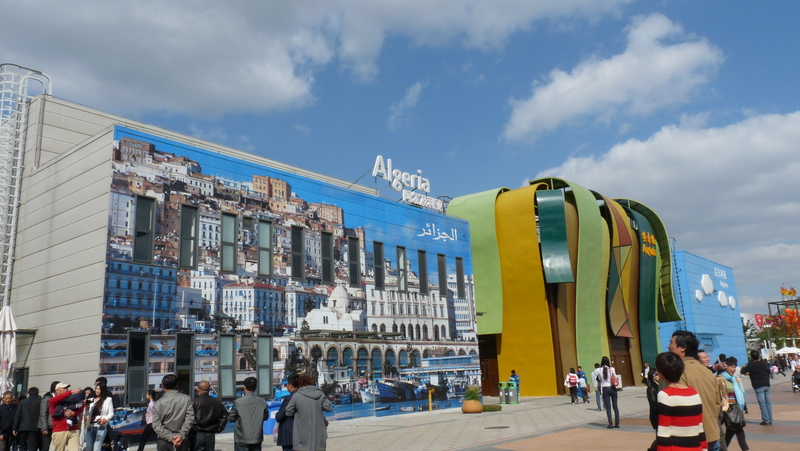 The following photos showcase the exterior of several Expo Pavilions. 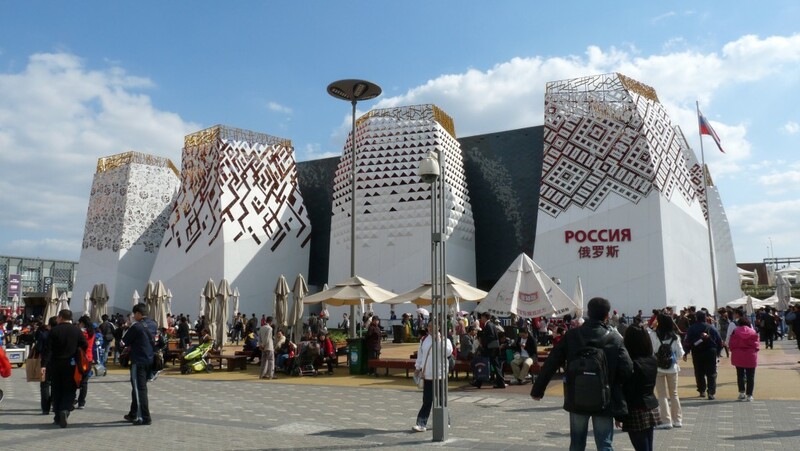 Although the enormous scale of these spaces and their dispersal over the Expo grounds felt truly dwarfing, after a while the structures appeared to us as objects spread out on a big floor- a silver porcupine (the UK pavilion) a large paper cutout (Poland), a wooden and metal wave (Spain) a large bead (Japan). 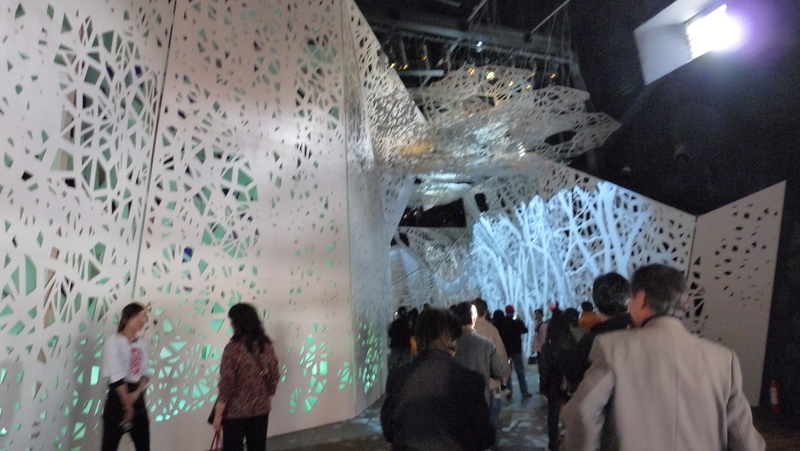 Do you have a favorite Pavilion? 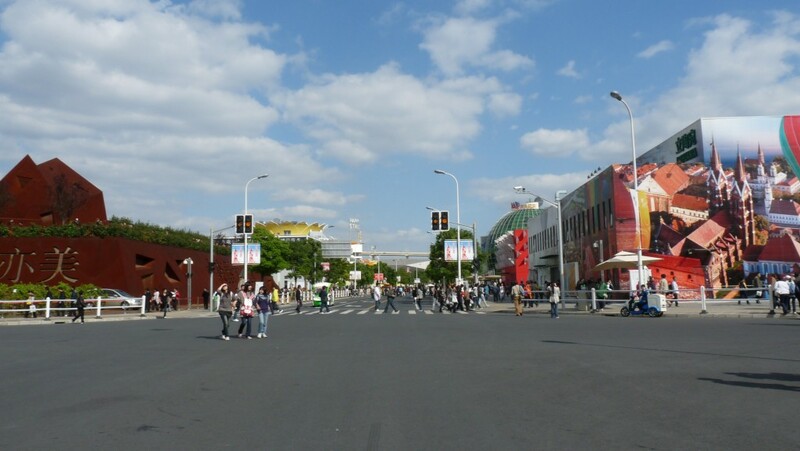 What are your thoughts on the World Expo?